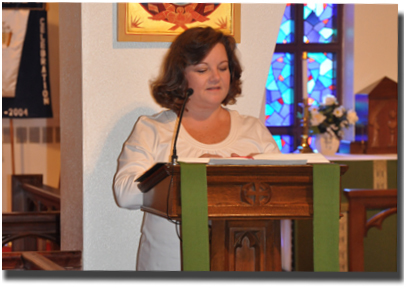 At Saint Anne’s, there are many exciting ministry opportunities for all ages. The word acolyte is derived from the Greek word akolouthos, meaning companion, attendant, or helper. The Acolyte ministry has its roots in the Old Testament where the prophet Samuel is seen assisting Eli, the Levite priest , and Elisha is seen assisting Elijah the Prophet. 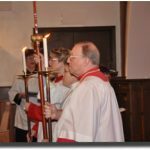 Today, acolytes participate in the service by carrying items during the procession such as the processional cross, candles, incense, or the Gospel book. During the service acolytes assist the priest on the altar during the consecration of the host, and by taking the collection plates from the ushers. The Altar Guild of Saint Anne’s Church is made up of a group of volunteers who ensure that the altar is prepared for each Sunday service, for funerals and for weddings. 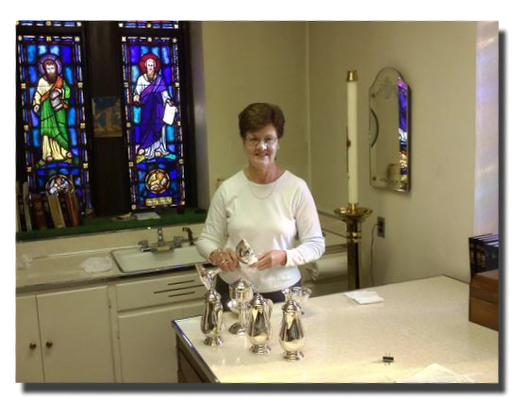 The guild is also responsible for cleaning up after each service, and maintaining the silver, altar linens and candles. The altar guild also decorates the church for our Easter and Christmas Seasons. 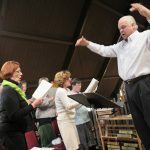 Music Ministry plays an important role at almost every church and Saint Anne’s is certainly no exception. Our choir consists of parishioners who volunteer their time and talents to make Sunday worship truly inspirational. Our choir sings on Sundays at the 10:00 service from September through May, and breaks for the summer. Rehearses are held on Thursday evenings from 7:30 PM to 9:00 PM. We welcome any new singers ages 18 and older; music reading skills are helpful, but not necessary to sing in the choir at Saint Anne’s. Our lectors are actively involved in the liturgy reading aloud the appointed Old Testament and New Testament Scripture at each Sunday 8:00 am and 10:00 am services. The Lector schedule is prepared a couple of months in advance and rotates a team of Lectors. The Lectors prepare their appointed Scripture selection in advance and read from the lectern in front of the church. 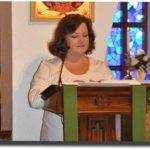 Saint Anne’s has a rich history of having dedicated Lectors who are humbled by this gift of reading Scripture during our Liturgy. 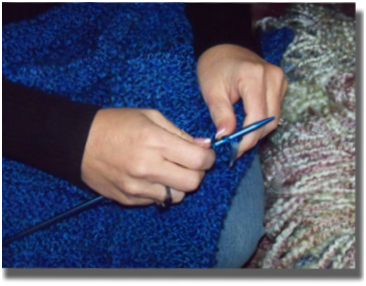 The Prayer Shawls Ministry is made up a group of members of the congregation who knit or crochet prayer shawls. Prayer shawls are created and given as an extension of Saint Anne’s healing ministry. Once a shawl has been completed, it is blessed, the recipient is prayed for with the shawl before the shawl is finally given to its recipient. The collective prayers of Saint Anne’s for its recipient goes with each shawl. 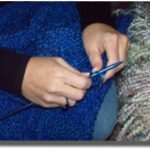 If you would like to join us in making prayer shawls, the group meets on the second and fourth Tuesdays of the month at 7 PM in the Dixon Lounge. If you know of someone who would benefit from receiving a prayer shawl, please let us know. The God’s Abundance Food Pantry is open every Tuesday at 11:30 AM. 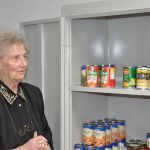 Food items such as canned goods, cereals, and jarred items are donated mostly by parishioners, however we will gladly accept any food or monetary donations from neighbors and other organizations. Frozen prepared meals are also available. 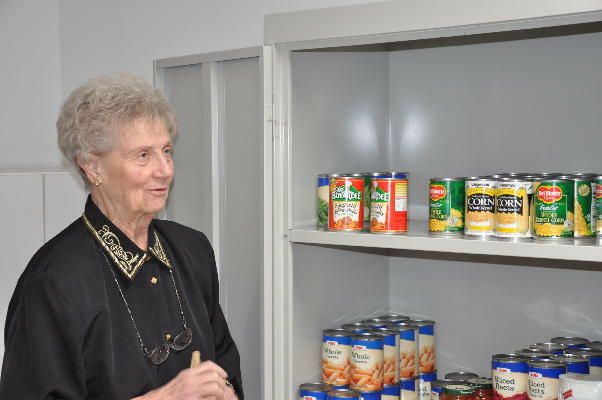 The food cupboard exists to serve our neighbors in need. 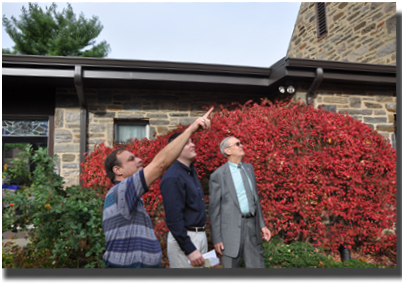 The Property Committee consists of a group of parishioners who oversee the church grounds. Many of our Property Committee members have practical or professional experience with building maintenance. The Property Committee meets a few times a year to inspect the building and make recommendations on repairs. Ushers ar e essential for our Sunday services. 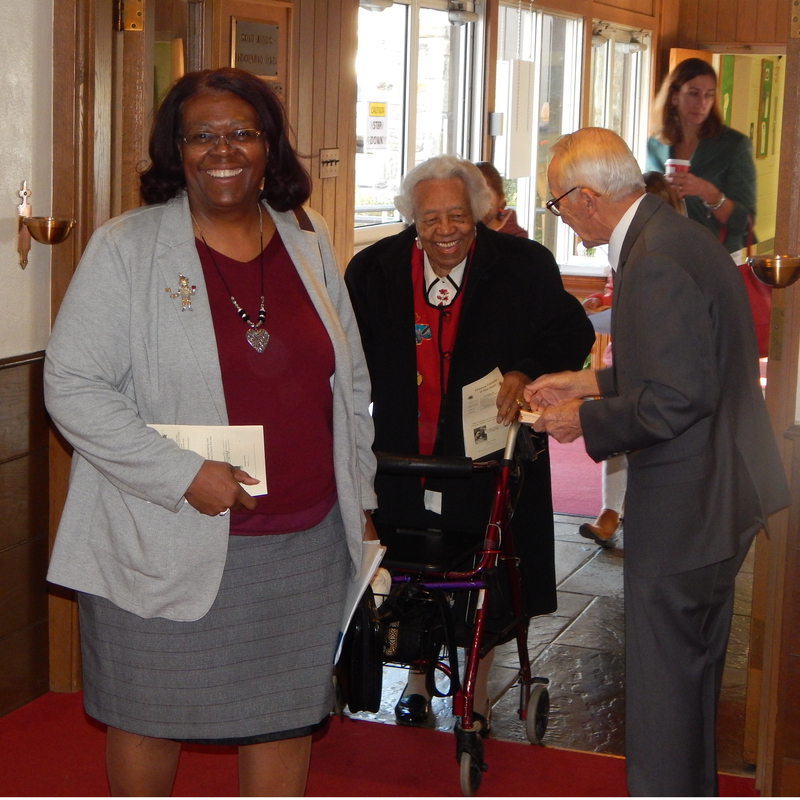 They are responsible for greeting people as they enter the church, making sure that everyone receives a weekly bulletin containing the readings and announcements. Aside from being greeters, ushers also take up the collections and provide a steady hand for anyone needing assistance returning to their seats from the communion rail. The Vestry at Saint Anne’s consists of a twelve member board that works with the Pastor to run the parish. The Vestry meets monthly on the third Wednesday of the month from 7:00 PM to 9:00 PM except for July and August. In addition, the Vestry will sometimes have special meetings, as well as a one day working retreat. Each member of the Vestry will generally focus on one or two areas from our five purposes: Worship, Fellowship, Discipleship, Evangelism and Mission. 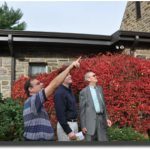 It is with these purposes in mind that the members make decisions on items such as upcoming events, budgets, capital repairs and anything else that involves the parish. 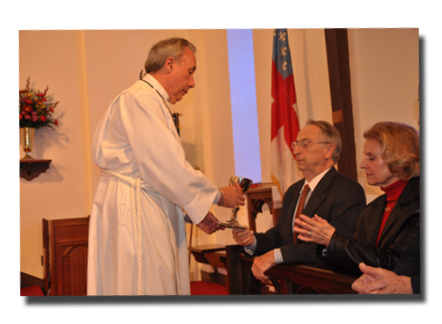 Our parish by-laws set a Vestry member’s term at three years. 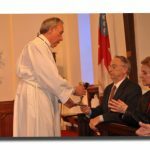 A vestry member may serve for two consecutive terms. Vestry members are nominated in April and are affirmed at the parish annual meeting which is held the first Sunday in May. 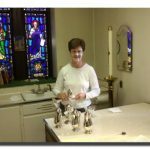 You may nominate yourself or another member of the parish to serve on the Vestry. To serve on the Vestry, one must be a pledging member of Saint Anne’s.